A disturbing incident that took place in Pratapgarh, Uttar Pradesh, has disturbed the communal harmony in the area. A mentally unstable man broke the lock of a Hanuman temple in the area and desecrated the Hanuman murti placed inside the temple as reported by Patrika. The man later offered namaz and chanted religious slogans after vandalising the murti. The police have reportedly arrested the perpetrator. 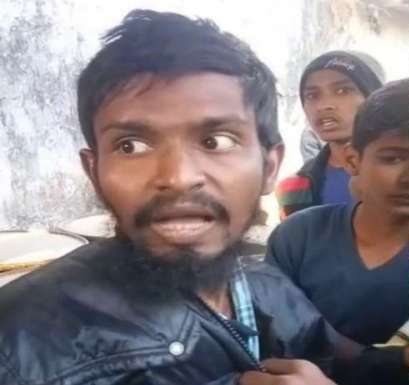 As per the report, the man entered the Hanuman temple after breaking the lock. He then threw the Hanuman murti out of the temple and started offering namaz. When people saw him damage the Hanuman Murti, they caught hold of him and reportedly beat him up. Upon being confronted, he said that Allah had asked him to do so in his dream. The people who confronted him tried to pacify him but to no avail. When interrogated by the Police, the perpetrator repeated the same defence. He is reported to have told the police that it was Allah who had asked him to desecrate the Hanuman Murti….